Jamie Dougherty is back at Stamping Details! Classes coming up next Sunday, October 7th! You don't want to miss this class! The techniques and designs will be so much fun and not to mention the awesome kit. We cannot wait to have Jamie back at Stamping Details! Stamping Details REMODEL & UPDATE! 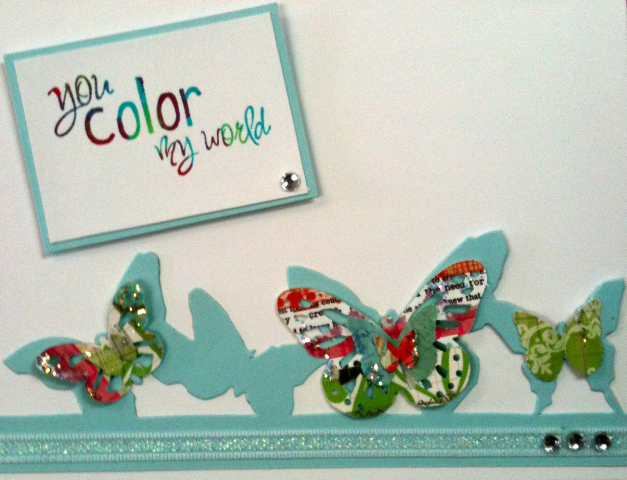 As many of you have seen there is tons going on at Stamping Details. The remodel dust is settling and boy have we moved things around. We are so excited about the changes and by your reaction you share in that excitement with us! Pictures to come soon and we would love for you to come in and see yourself! We so appreciate you pardoning our dust for these few short weeks. New classes are being added every week and we look forward to the return of Chris Cozen in October to come...details to follow! Make sure to keep checking our our OCTOBER CALENDAR. Also don't forget we have our Make' n Take Mondays but they have been so popular that while the supplies last we will do those with you ALL WEEK! Best to get in early while supplies ask! Only $2.00 and you leave with a completed cards and fun techniques! Last but not least.......October 13th is UFO night with Kariana! Come join us for UFO's Night! The holidays are approaching fast an it's time to start finishing those cards and projets (or, if you are like me, to begin them!). We have reserved an evening for you to take advantage of our classroom space and select tools, and come and meet others who share a love for stamping/crafting. Bring your supplies for unfinished projects, such as card kits, albums, etc. and we'll provide the food. Cost: $10. Fee includes food and beverages, and use of select tools, punches and stamps! 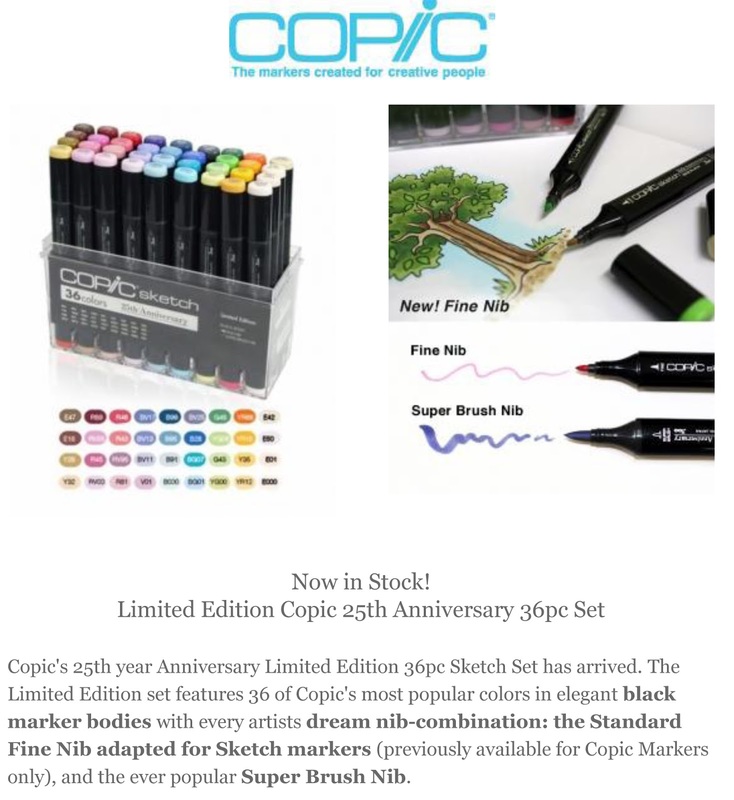 Limited Edition Copics Set in STOCK!! This just in.......ONE set of Limited Edition Copics!!!! I repeat just ONE set in of these beautiful markers!!!! 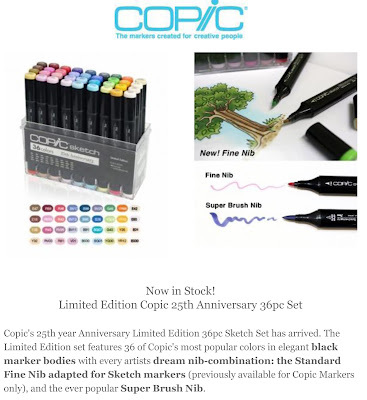 The perfect edition to your Copic set. Get IT while it is HOT!!! Come on in and make this set yours! UFO's NIGHT! - Unfinished Objects Night! Do you like Trick-or-Treating than you will love Scrap-A-Treating! 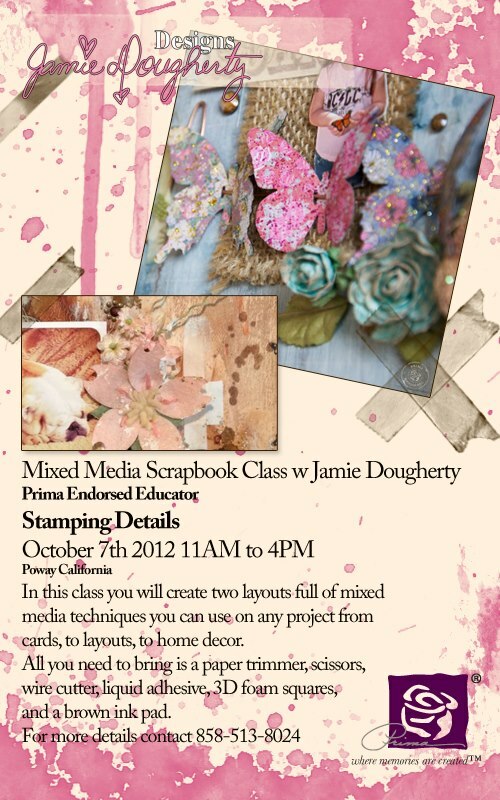 Join your local Scrapbook/Stamp Stores for a fun weekend! Trot to the local stores for some early trick-or-treating. 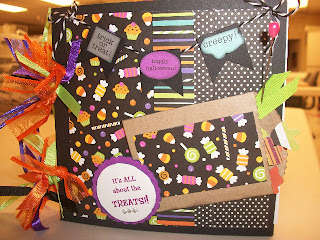 And along the way make a 6" X 6" Halloween Book! $8.00 admission to play the game. Plany our route to the stores with friends! Complete a 6" X 6" Halloween book when you have visited all participating stores. Just bring along your basic tool kit. Call us 858/513-8024 to reserve your ticket for this weekend of fun!!! Make 'n Take Mondays - September 17th! Our Make 'n Take Mondays are very popular now! So mark your calendars for every MONDAY! Here are the details for you to be a part of it every Monday! The great this is by the end of month you will have a HANDMADE cards to share and send for less than it costs to buy a card! AND think of all the new techniques you will learn to carry into your own stamping! We have some cute cards and projects coming up in September and October! 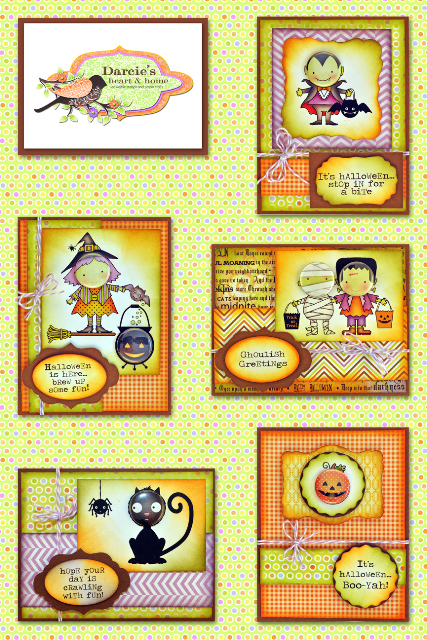 New Product Alert: Darcie's Halloween Stamps! Great time to come in while supplies last! That is Right......Graphic 45's Bird Song Paper Collection and you are going to love it! Stop in while supplies last! Have a great weekend!